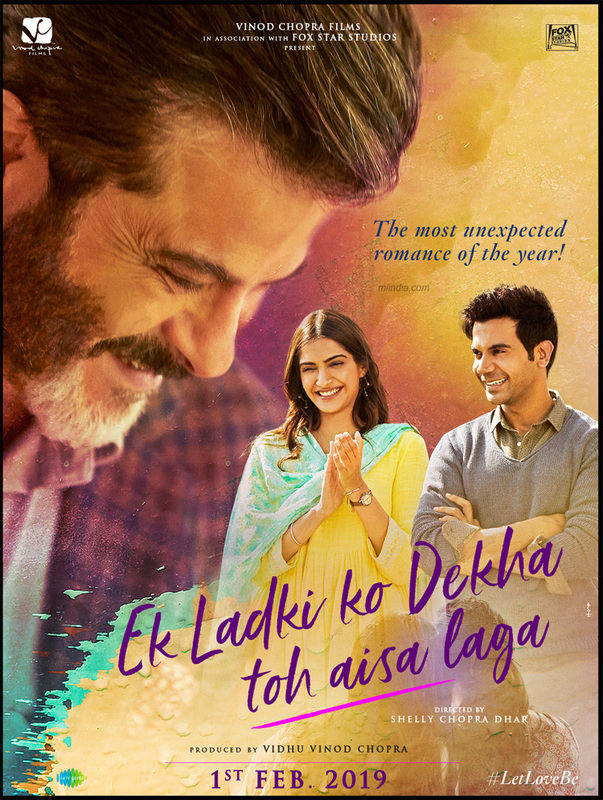 The acclaimed new film EK LADKI KO DEKHA TOH AISA LAGA generated the largest opening day box office of any Bollywood film so far this year in North America with $196,000 in its first day of release. That easily beat the $155,000 opening day of Manikarnika and the $136,000 opening day of Uri: The Surgical Strike from recent weeks in the US/Canada market. Ek Ladki Ko Dekha Toh Aisa Laga is an upcoming Indian Hindi-language coming-of-age film directed by Shelly Chopra Dhar. It stars Anil Kapoor, Juhi Chawla, Sonam Kapoor and Rajkummar Rao, and also features Regina Cassandra, Brijendra Kala and Madhumalti Kapoor in supporting roles. Opening week is here and the brand new Trailer #2 has just premiered revealing more about the film everybody is talking about - EK LADKI KO DEKHA TOH AISA LAGA - which releases this Friday, February 1st.